000-990-54-92-9051 rivet .98 (Order 6). Do I need to order these as well? Not really sure what they are used for. Now I received them in the mail and I am not sure whether to be super excited or mad. Now these are not either W211 or W212 AMG rims. I called him back and Al told me that he received them from the Mercedes Dealership and pretty much refinished it. 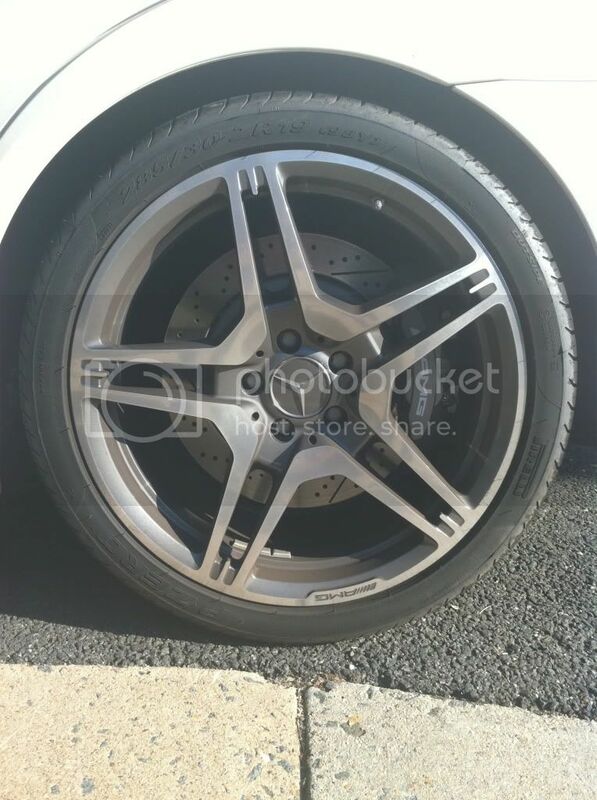 He says they are genuine 100% genuine AMG rims made from belgium and that I would be able to see them if I can access the Germany AMG website. He said he would provide the paperwork the next time he visits the Mercedes shop he gets his stuff from. I mean they look really nice, but I really don't know if they are real or not. There are forum posts everywhere stating how great he is while others say that he's a total scam and rip off. Can anyone tell me if they are OEM as he stated and promised? I personally believe that these are knock offs, the original ones don't have holes on each spoke the part number wouldn't start with ET more like with an A followed by some numbers. BTW that guy Stuart at Revision Auto is a ripoff! 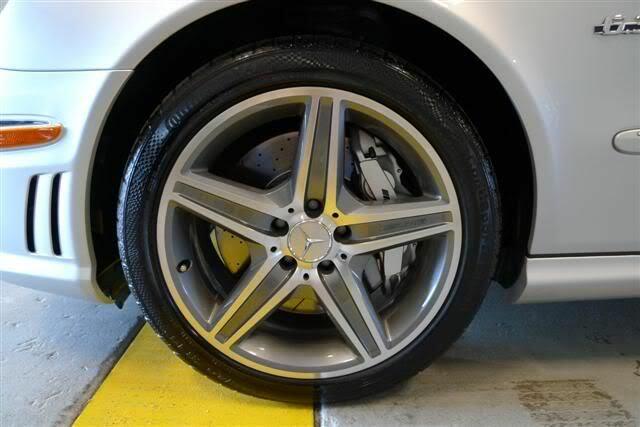 It definitely Not OEM E63 AMG wheels. Check ebay again I found this, and clearly you see some HUGE difference there! I agree, they definitely look like replicas. As someone mentioned, there should be a MB part number stamped on the rear inside of the wheel. Next time check the wheel classifieds sub-forum. There are some great deals on there (especially for AMG take offs). Last edited by wampa; 02-19-2011 at 08:29 PM. With the DRL strips how did you wire those up? I tried to hook the power wires up to a few of the other lights they would just turn on then shut right few. Any info is helpful. This was a great and very useful thread! congrats on the new conversion looks sweet and props for doing the home work to get it all done. How did you do it with the Bi-Xenon lights since they don't have the rubber seal around where the hood and the rest of the body reaches the lights? Is there a gap in now? If Im not mistaken none of the headlights of an 07-09 w211 have rubber seals, my original ones didnt have them. Mine do and I'm looking into Bi-Xenons but I'm not sure how this will fit then. That really does look sharp - congrats! +1 on the setup. Looks Great! Looks great thank you sooo much for the link to the prestige bumpers I been searching for a place that has oem bumpers for reasonable prices! 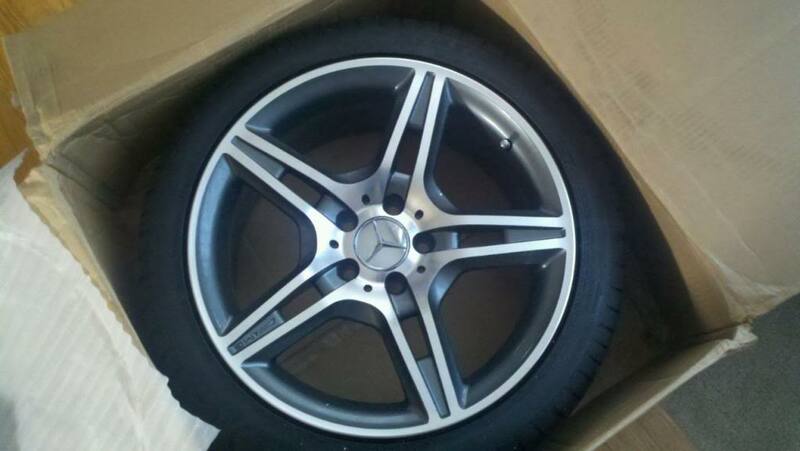 These do not appear to be original Mercedes rims, I believe they are replicas. 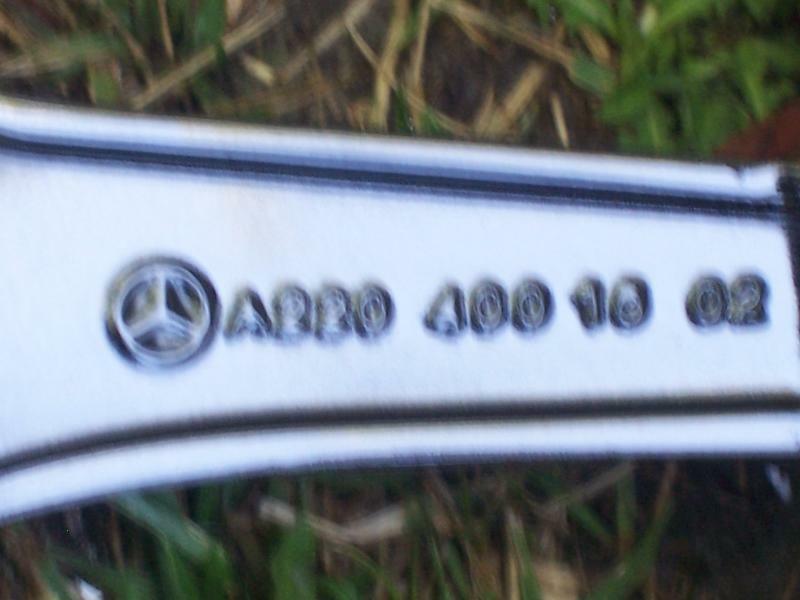 The 'AMG' stamp on the front spoke looks wrong. The lettering of the fitment specs on the closeup you posted looks sloppy and mis-aligned, another sign. Finally, spokes are usually fully hollow or fully open. Haven't seen this design on an OEM car. 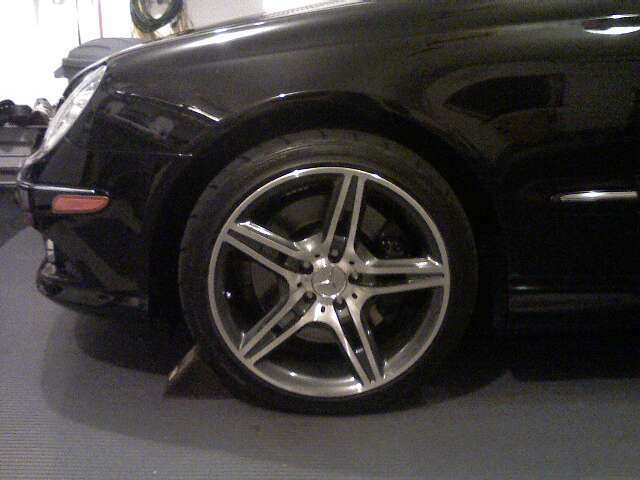 I had these wheels on my CLK I just traded in. 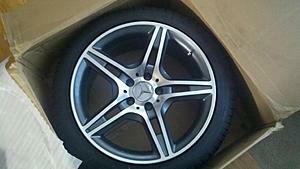 They are from China and sold on ebay by OEwheels. Just search ebay for "CLK gunmetal wheels". The AMG is technically AME but it is so close to the edge you cannot tell. I think you were misled. Hi, my name is Hawthorne and I read the conversion you did on your car. It looks great and well done. I am thinking of doing the same on my 2005 E55 AMG. Could you help me in the conversion? Please PM [email protected]. Thank you. NEVER buy anything from Al at bestdealsonwhls.com. He is a fraud and sells replica wheels claiming they're oem (labelled "AME") and even ships them with the wrong tire size for your car. You're stuck with useless garbage and he won't stand behind it. He offered to refund my purchase, minus the $500 I've got in shipping and brokerag fees... But many he's done the same too says the money never comes or he refuses the return shipment so you're out even further plus you've still got the junk he sold you. AVOID. 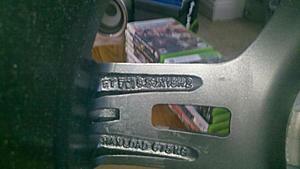 He also sells on eBay as greatdeals2460. He also sells an "OEM AMG" pedal kit with a dead pedal. Mercedes doesn't make a dead pedal. He's an absolute fraud. Everything he says seems to be complete crap. It appears he's a decent gu to deal with in person but if you reordering online, he screws ya. I'd avoid him period. Do we need to change head light for facelifting? I dont want to change because of its high price but my dealer said amg bumber will not fit if i dont change with +7 head lights. headlights can stay the same.....dont worry.